Much awaited action strategy game Cortex Command has reached version 1.0 after being in development for almost 11 years. 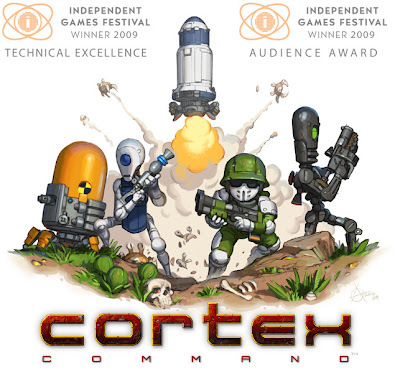 A development build of the game was included in Humble Indie Bundle 2. You can now download the updated Linux version from your Humble Bundle page. If you haven't got Humble Indie Bundle 2, then grab a copy of the game the for $20 from Humble Store.